Kip Full Grain Shell for durability and forming the perfect pocket. U.S. tanned palm and finger back lining for comfort and durability. U.S tanned full grain leather laces. 100% wool padding that helps form and maintain the pocket shape. XRD Padding System reduces ball impact on your hand. Great for deflecting the ball. I Web. 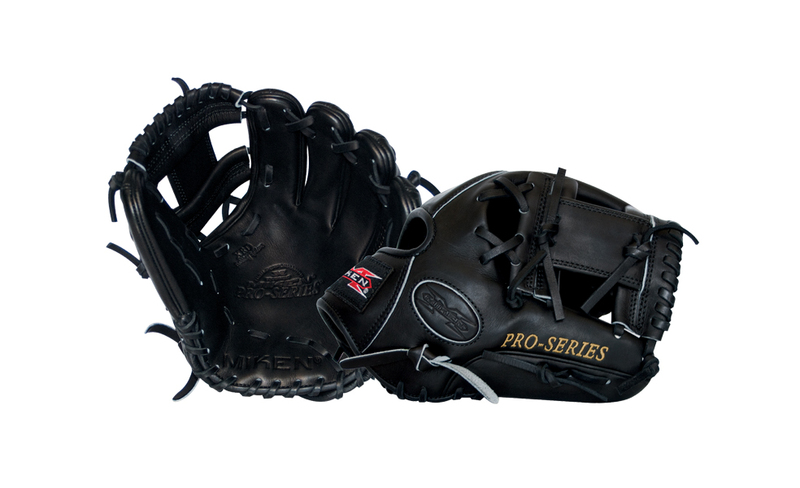 Made by Rawlings for Miken.